It worked. After three or four years spent not looking directly at Microsoft’s poxy DRM and matchmaking service, GWFL has finally got the message and begun to slink away to find a good rock. There’s one last blow, though: it’s taking Age of Empires Online with it. Games for Windows Live will be discontinued on July 1, 2014. 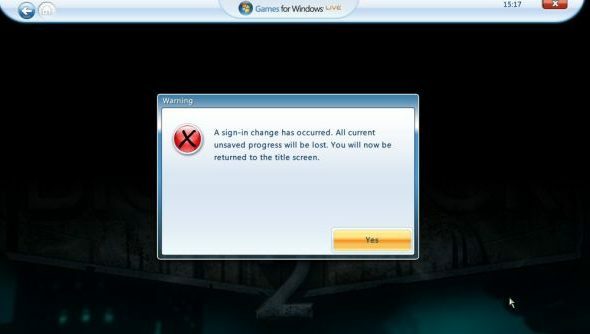 Although it is available through Steam, Age of Empires Online requires features of the Games for Windows Live service. You can continue to enjoy all the features of Age of Empires Online as the service will remain 100% operational until July 1, 2014 when the server will shut down. Microsoft have been laying the groundwork to whack GWFL for some time now. They’ve fielding rumours about its closure since October last year, when new Microsoft Studios games Mark of the Ninja and Deadlight were both coupled with Steamworks rather than the publisher’s own service. In January, Microsoft said they had “nothing to share on the future of Games for Windows Live”. Official word from the platform holder has it that the Games for Windows Live marketplace will be gone by Thursday. Development on poor Age of Empires Online ceased in January, meanwhile, nudging Gas Powered Games toward the plug hole it circled for the first half of this year. Expect similarly final news on Microsoft Flight – Microsoft Studios’ other very-much-multiplayer GFWL game. All of the above comes just as former Steam man Jason Holtman steps into the breach to make Windows a “great platform for gaming”. Microsoft haven’t so much cleared the decks for him as thrown out the boat entirely. What will Holtman build in its stead?